Alphalite Plasma Roadway Luminaire - Contact Us Today! 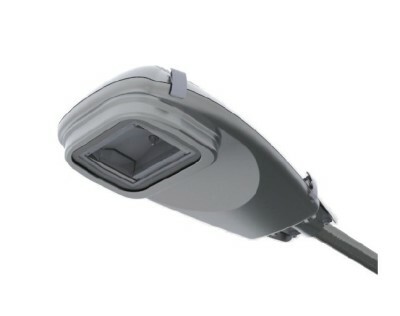 The STEALTH Series Plasma Street Light delivers extreme intensity and high lumen output for roadway applications. Superior color, long life and high efficiency allows this luminaire to outperform traditional HID luminaires. Utilizing proprietary plasma technology, the electrodeless lamp and solid state driver enhance lighting quality. Precision-formed reflectors and micro-sized lamp deliver adequate light to road surfaces. Lighting quality and intensity provides benefits for safety and security. High performance, cutting-edge die-cast housing improves heat dissipation and reliability. Precision-engineered and quality manufactured optics to optimize light delivery to the working plane. Features advanced heat management for efficient power supply and driver operation. Solid state driver with micro-processor technology delivers superior color performance and reduces color shift. Improved lumen maintenance versus traditional HID. Advanced dimming, monitoring, and communications capabilities.